On Friday July 1st 2016, there was a short Service of Remembrance and a two minute silence at the War Memorial outside St Michael & All Angels Parish Hall, to mark the Centenary of the first day of the Battle of the Somme. 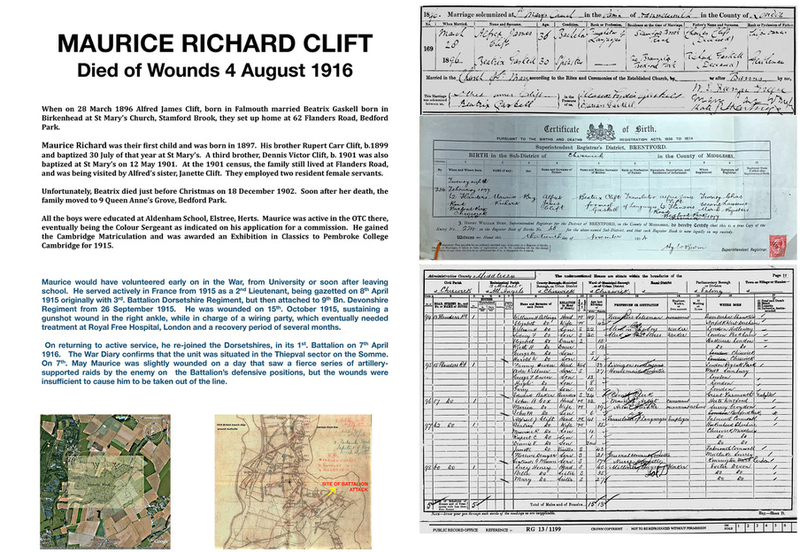 Throughout July 2016, inside the Church, there was a display of 20 information panels in memory of people from Bedford Park & St Michael’s who were killed in 1916. Above is a detail from the panel about Maurice Richard Clift, who died of wounds on August 4th 2016. 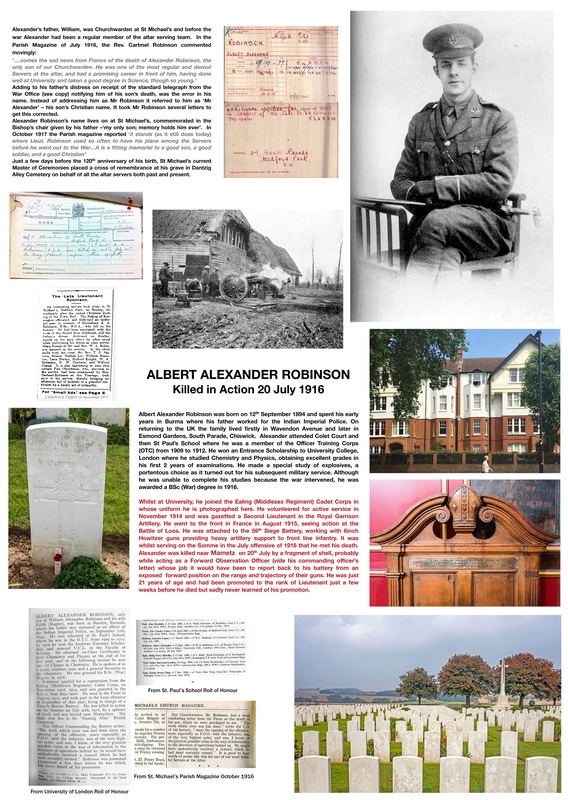 Below is the full panel concerning Albert Alexander Robinson, killed in action on July 20th 2016. All the panels were compiled by David Beresford, one of the archivists at St Michael & All Angels Church. This was our third annual exhibition, supported by the Heritage Lottery Foundation, marking the names of those commemorated on our war memorials. And on Sunday September 18th 2016, during the Chiswick Book Festival, Hugh Sebag-Montefiore spoke in the Church about his new book, Somme: Into The Breach, published by Penguin.